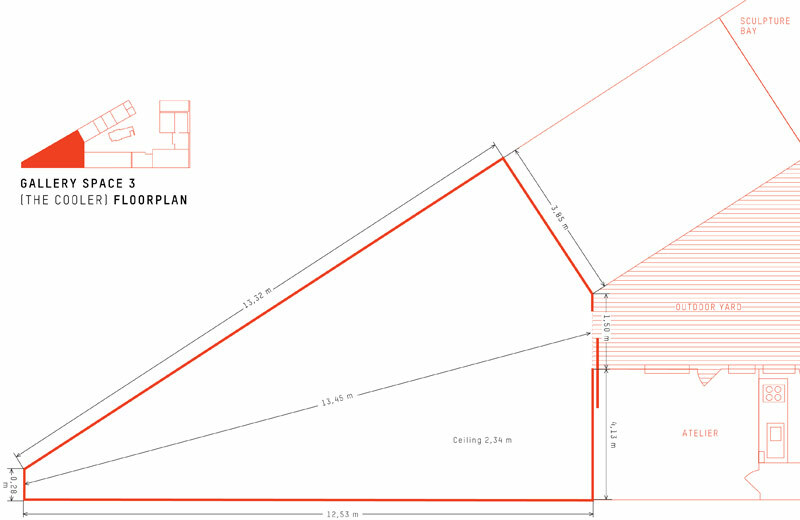 A total of 1.282 m2, Dada post is located in the Berlin-Reinickendorf district, in the former König Smoked Fish Factory complex. The one hundred year-old business was transformed into exhibition, performance, and studio spaces for artists. 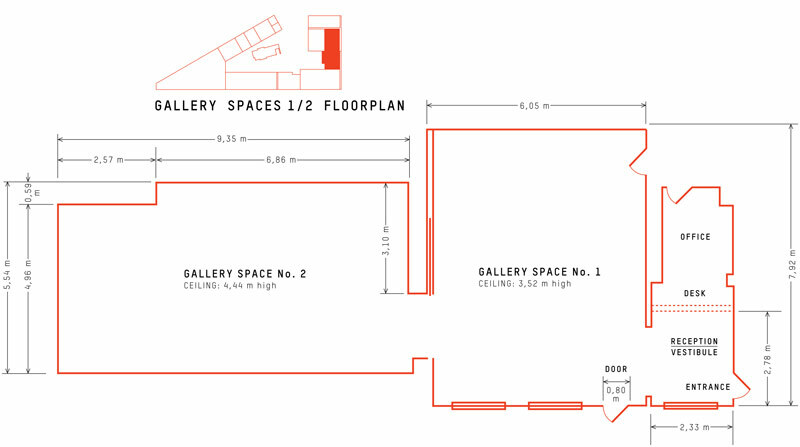 The gallery itself comprises two major spaces. The adjacent out- and indoor sites have also been designated for exhibition purposes, including Gallery Space 3, also known as The cooler. It also inlcudes various storage and exhibition bays, a resident artist apartment and studio, a small bar and beer garden, all disposed around a triangular courtyard with a 1936 bunker at it’s center. The renovation and redesign of the complex took both its history and the demands of contemporary art into consideration. The facility is easily recognizable by its large smokestacks, which are recalled by the slants of the gallery logo, and have been retained as a reference to the original commercial use of the site.